Click to view in your browser. Remember the good old days of the Yellow Pages and newspaper ads? Static marketing, by itself, is a thing of the past, and as time marches on, many of your potential clients won't remember those days. Today's customers are interacting with companies in a multitude of ways and on a multitude of devices. And for the aging care industry, this phenomenon provides a huge opportunity to reach more people and have a more in-depth communication with clients and referral sources. Our Marketing Aging Care Services webinar series has touched on several levels of marketing, from knowing your target market to marrying the message with the visual to using the website as your marketing hub, but now it's time to put all those pieces together in a seamless, integrated marketing strategy. Who are my potential clients? Adult children of elderly individuals? Senior citizens? Home health care agencies? Doctors/hospitals? How do they purchase products/services like mine? Via referral sources? Directly? Where can I reach them? What type of media do they use? Online? Via email? Social media? Via a doctor or medical social worker? At industry networking events? Through CEU presentations? Answering these questions will help firmly establish a marketing plan of action. Whether through static advertising or through dynamic, online interactions, touch points occur every time potential clients come into contact with your company. 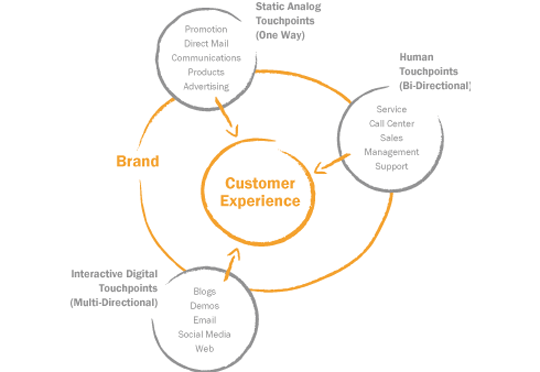 Mapping out your customer touch points will help you gain a better understanding of your customers’ buying journey, establish an overall visual plan for integrating your marketing, and help you identify what areas of your marketing need more attention. Integrated marketing is most effective when you have the right tools to reach the right audience. But the pieces won't fit if you don't know how to use them properly. For example, a company Facebook page is a must-have marketing tool, but if you don't know how or what information to post, don't interact with other Facebook users, or neglect the page for weeks on end, this fantastic marketing tool won't be of much help in your overall plan. Taking a bit of time to learn how to properly utilize your social media channels, however, will help establish your company as a leader in the aging care industry, allow you to reach more potential clients than via other marketing channels, and provide a dynamic, interactive way for your business to communicate to your audience. 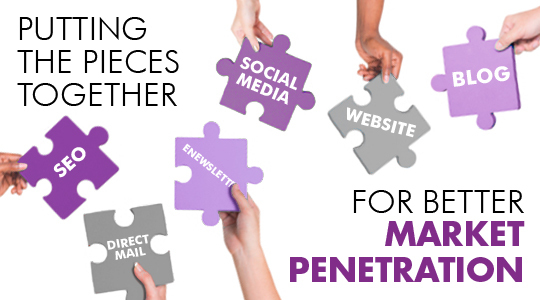 As with all marketing efforts, there is no silver bullet, perfect way to create an integrated marketing campaign. Knowing your target audience and figuring out how to reach those people are the keys that will unlock the door to a successful campaign. If your business needs help putting together your marketing pieces, contact the marketing experts at corecubed for help. Don't Miss Our Final Marketing Aging Care Services Webinar! The final webinar in our 6-part Marketing Aging Care Services series is Wednesday, June 12th! Merrily Orsini, MSSW, has been selling aging care services since 1981, both from within the market and as a consultant to the market. A highly successful entrepreneur, Merrily has not only garnered experience from within the industry, but has many successes for those businesses that have used her or corecubed's services. Join Orsini and other aging service providers for this one hour FREE webinar that is the last in a six part series that focuses on targeting the aging care services industry. After registering you will receive a confirmation email containing information about joining the webinar. Also, see all of corecubed's upcoming and past webinars on our events page. Get To Know SEO On The corecubed Blog! Get back to basics with our SEO ABCs in our latest blog post. Want to improve your SEO? Know thy commandments! SEO wears many hats. Learn more about black, gray, and white hat SEO. This newsletter was sent to [email address suppressed] because of your interest in corecubed and marketing. © 2013 corecubed. All rights reserved.